Dogs are a lot like us in a number of ways, but they have very different urges, limited understanding, and tons of odd behavior that seems very foreign and at times disgusting. While you cannot completely resolve all of their odd behaviors, it would at least be nice to know the motives behind them. Here’s a quick look at eight odd dog behaviors and why they do what they do. If you’ve ever heard a dog in a reverse sneeze fit, it can sound kind of alarming. At first, you may think that they’re hacking up a hairball or about to lose their lunch. Then, the heaving mysteriously vanishes. This odd behavior can cause a lot of dog-owners alarm when they don’t know what’s going on with their beloved pet, but don’t be worried. 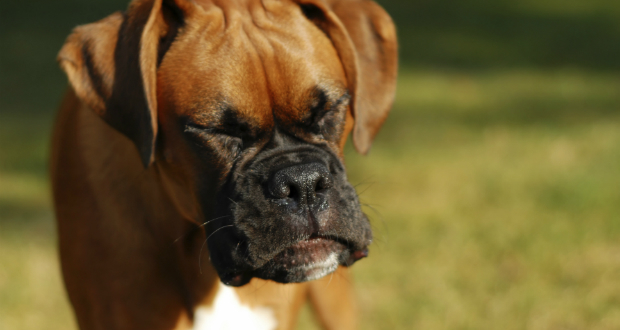 Reversed sneezing is, as PetMD puts it, when a dog “bring[s] air into the body to remove irritants in the upper area that lies behind the nose.”. The general idea here is that the dog is filling its lungs in order to push allergens, hair, and other foreign bodies from its sinuses. Often this is simply due to their being a large amount of dust and hair floating through the air in your home or a dog with allergies. It can be seen in health conditions involving the respiratory tract, but only if it doesn’t improve and happens on a consistent basis.